Somewhere James Worthy’s beard is smiling. Why? Because modern NBA players have stumbled upon a secret he patented years ago while winning titles in the 80’s. Want to successfully advance through the NBA Playoffs? Then grow a beard; the data came back from the lab and the science can’t be disputed. More players are rocking full beards than any time in recent memory. 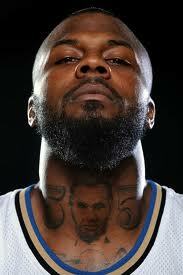 In the Mavericks vs. Thunder series the Mavs DeShawn Stevenson’s “Neck Forest” is only rivaled by the Thunder’s James Harden who we covered earlier in the week. On the other side of the bracket, the Bulls double trouble bearded combo of Carlos Boozer and Joakim Noah are outnumbering LeBron’s “mane” two to one but the series is even. No matter who wins either Conference Final, we’re bound to see some serious beard on beard action in the Finals. Will he stay or will he go? The LeBron James soap opera begins . . .
You can bet that LeBron James and his impending free agency will be a big topic of discussion all through the summer in barbershops around the country. This topic will get even more discussion in places like Cleveland, New York, Chicago, Los Angeles and Miami as their teams have a reasonable shot at landing the superstar. Many Cleveland fans characterize it as a question of character. John Paulsen explains that leaving, like quitting, will be the easy thing for LeBron to do. There are also some bizarre rumors flying around. Bill Simmons goes on a typical rant. Kelly Dwyer let’s LeBron have it.